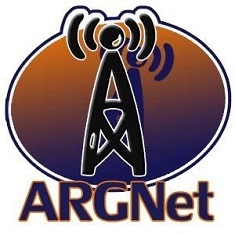 Elan was previously featured on Episode 28 of the ARG Netcast series, of which Jessica was a panelist, so this won’t be the first time the two go on-air to discuss ARGs. As well, we’re pretty sure that folks at G4 don’t know that Jessica and Elan also share a place in Cruel 2 B Kind history. If you have G4TV on your dial, Attack of the Show airs at 7 pm ET (4 pm PT), repeats through the night, and clips are available at the G4TV web site. How sure are you? Vinny Rutherford is the supervising producer of Attack of the Show… hmm Rutherford, Rutherford…. where do we know that name from??? There seems to be no video yet, but a brief summary of the segment finally showed up. The video is up! It’s “The Loop: Do You Play Alternate Reality Games” at http://www.g4tv.com/attackoftheshow/videos/index.html. This is the direct file download (right-click and save) as an iPod-compatible MP4 video. Awesome job by both Elan and Jessica! Way to promote the genre accurately and professionally! Congrats, Jessica!!! What awesome exposure not only of course for yourself and ARGNet, but for ARGs in general!!! No offense to Elan, of course, but I have to say that I think you handled the whole thing better than he did! Which is not surprising, if one knows you, but yeah… So funny how Elan is selling constantly 🙂 But how you are doing your ARGish duty to promote the genre, while explaining at the same time (fulfilling your role here at ARGNet wonderfully, as well!) Awesome job!! !